Lloyd’s of London could be paying Disney $50 million in the wake of the sudden death of Hollywood legend Carrie Fisher. 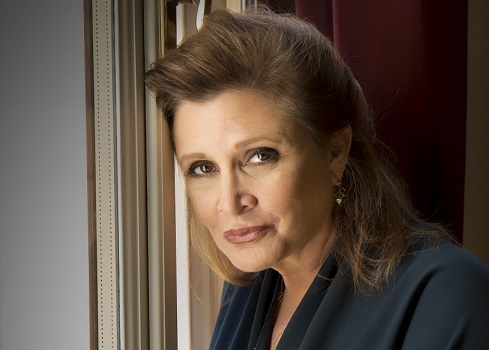 The acclaimed writer and actress — best known as the Star Wars franchise’s indomitable Leia Organa — died Dec. 27, four days after suffering a heart attack while on a flight. Disney, the company producing the new Star Wars trilogy, placed an insurance policy on Fisher before she signed a three-picture deal for the new movies, according to Business Insider. The policy was taken out in case Fisher couldn’t fulfill her contract. Fisher starred in 2015’s Star Wars: The Force Awakens. She also completed filming for the forthcoming Episode XVIII. But production on Episode IX hasn’t yet begun. That means Disney could receive a $50 million payment, according to Business Insider. The policy was underwritten by New Jersey-based managing general agent Exceptional Risk Advisors, according to The Insurance Insider. However, if the policy triggers the loss will be borne entirely by Lloyd’s. Episode IX. Industrial Light and Magic used special effects to resurrect deceased actor Peter Cushing in December’s Rogue One, but the company has said it doesn’t plan to use that effect often.